Woo hoo!!! I love that yarn. I don't ever think I've seen that one. I love those socks. I'd be happy to kitchener them for you! Those are beautiful - great colors. 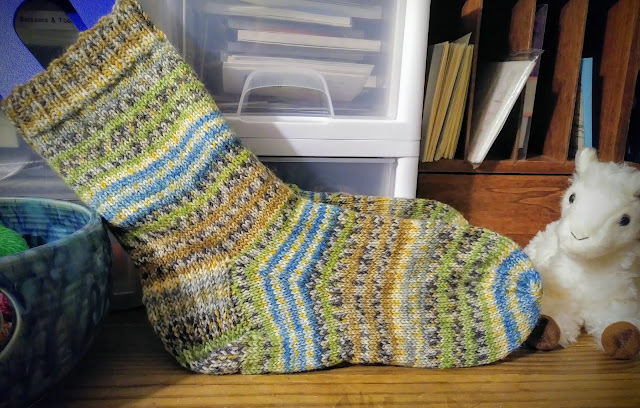 I don't mind the kitchener part of socks at all. For me it is very Zen-like. Next time that happens just send them to me, I'll kitchener them right away. Now, it might be a few years until you get them back, but I'm happy to help! love the socks, love the self striping and love that they are finished!